In today’s modern age we tend to spend too much time indoors. But getting outside — on a trail or in a park — not only soothes the mind but can also change the way our brain processes in a way that improves our mental health. Studies have shown that those who live in cities spend less time outside in green, natural spaces than people did a few generations ago, and are at a higher risk for anxiety, depression, and other mental illnesses than people living outside of urban centers. Urban dwellers with little access to green spaces have a higher incidence of psychological problems than those living near parks or living near natural environments. For those of us that live in the Sierra Nevada, we can find what we truly need right outside our doors. According to Japanese researchers, a 15-minute walk in the woods provides measurable changes in physiology. In this study, the forest walkers showed a 16 percent decrease in the stress hormone cortisol, a 2 percent drop in blood pressure, and a 4 percent drop in heart rate. These researchers believe our bodies relax in natural surrounding because our senses are adapted to interpret information among plants and streams, and not traffic and high-rises. A study from the Emmett Interdisciplinary Program in Environment and Resources at Stanford University found that volunteers who walked briefly through lush, green portions of campus were happier and more attentive than volunteers who strolled for the same amount of time near traffic. Research shows when volunteers are looking at urban scenes more blood flows in the amygdala, which processes fear and anxiety; as apposed the natural scenes lit up the anterior cingulate and insala areas associated with empathy and altruism. The health supportive benefits of being in nature also extend to other chronic diseases. Researchers have shown that people who live within one-half mile of green space have lower incidences of 15 diseases — including depression, anxiety, heart disease, diabetes, asthma, and migraines. Fewer stress hormones circulating in the blood and lower mortality have also been connected to living close to green space. In addition to the scientific support, we instinctively know nature is good for us on many levels. We enjoy spending time in nature because of how it makes us feel. Spending time connecting with nature and surrounding ourselves among other living beings, both big and small, reminds us we are never alone. Being in nature connects us to the earth, grounding us as we walk, nourishing our senses and creativity. Walking in nature is a natural way to lighten your mood and improve your frame of mind. If you have thoughts about hurting yourself or anyone else, seek medical attention right away or contact Lifeline directly at 1-800-273-TALK (8255) or local law enforcement. 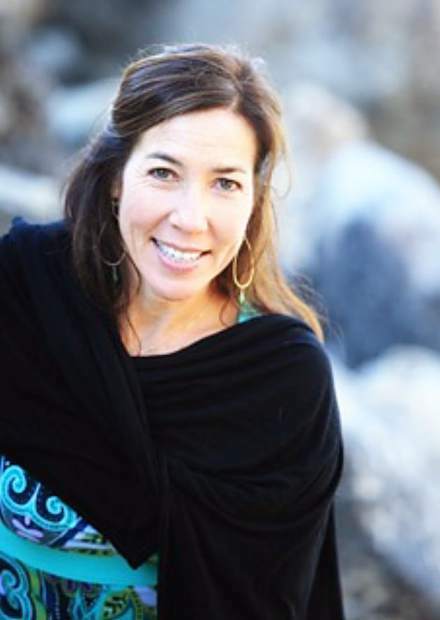 Lisa Stekert is the coordinator for the Tahoe Truckee Suicide Prevention Coalition and Outreach Coordinator for the Tahoe Truckee Prevention Task Force. Contact her at lstekert@tfhd.com or by calling 530-550-6733.